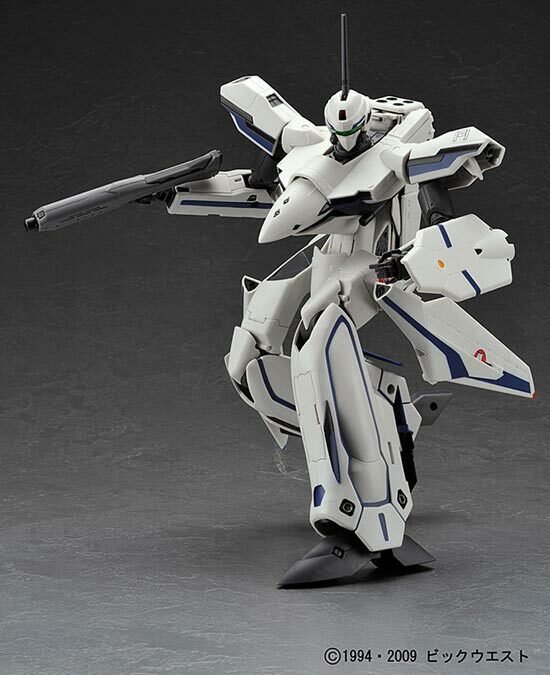 Update: Translated Manual for the original 1/60 YF-19 of Isamu Dyson can be found here. 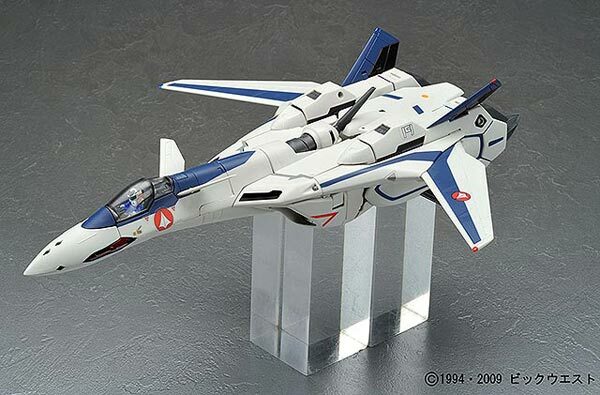 Two variants of Isamu Dyson's YF-19 is to be released by Yamato this August 2009. They are the Unit 3 Bird of Prey and the Unit 4 Double Nuts. The Bird of Prey variant comes in orange trim to commemorate the color of test planes used by the United States. While the "Double Nuts" variant will come in Blue trim. Personally I prefer the Double Nuts version over the Bird of Prey. 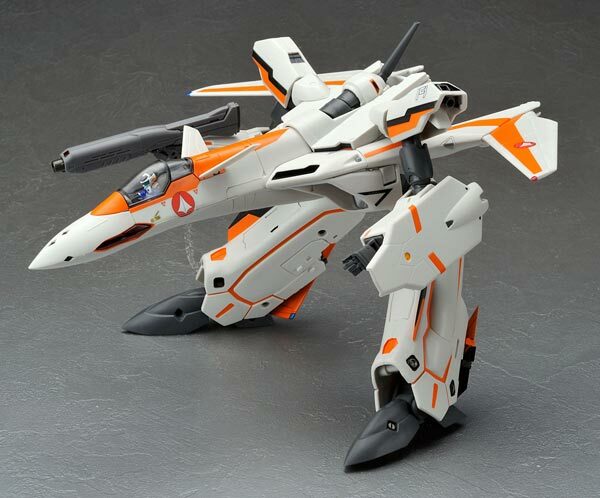 According to the literature found at Yamato Toys site, the quality of this YF-19 build is supposed to be improved over the original YF-19 release by them. Guess they worked out the kinks in the transformation sequence. 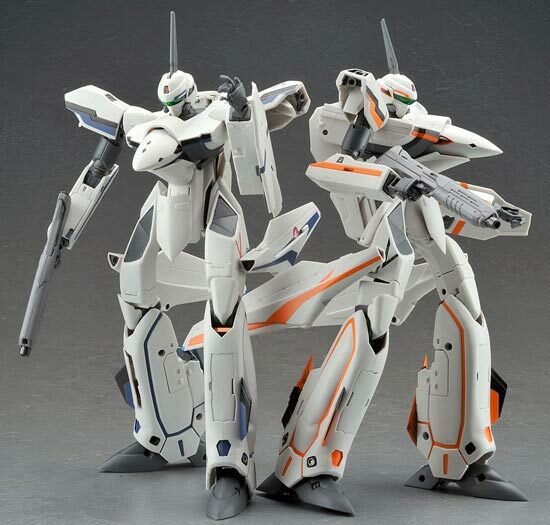 The site also said that the two variants were born after the resumption of the SuperNova Project in Macross Plus after the Sharon Apple Incident. I'm assuming Unit 2 was Isamu Dyson's YF-19 while Unit 1 was Guld Goa Bowmans YF-21. To understand this better I'd recommend watching Macross Plus. 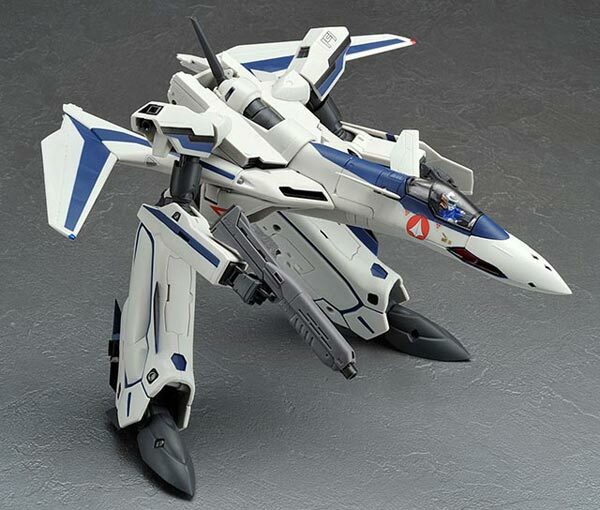 If I'm reading my Japanese correctly, the reason Unit 4 was called Double Nuts was because the person in charge of the Unit 4 project (Amy Cunningham) was related to the test pilot of the original VF-0 "Phoenix" (Oliver Cunningham), guess it was a sort of homage to the first VF. Once again, if I'm reading my Japanese correctly, the Unit 3 name "Bird of Prey" was taken from a ship in an old Science Fiction movie. I'm wondering if they are referring to the movie Star Trek: The Voyage Home?, where Kirk and Co commandeered a Klingon bird of prey for their ship. Check out more literature on the Bird of Prey and Double Nuts from the Yamato site. 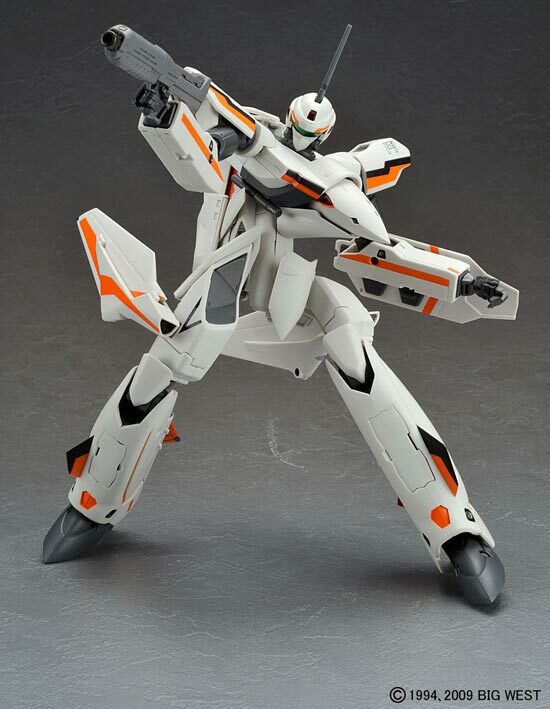 If you are having difficulty with the transformation sequence, you can check out this tutorial from Yamato toys on how to do the difficult parts. The cost of the YF-19 variants will be Y19,740. 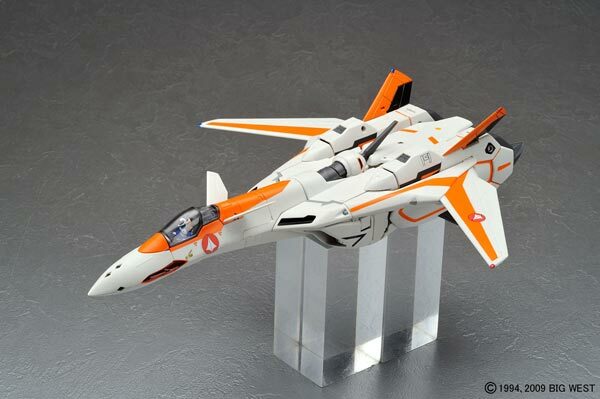 The kit will include the pilot and a gun pod. A set of wing canards and 2 attachments for the stand. Add to that are the stickers and the manual.